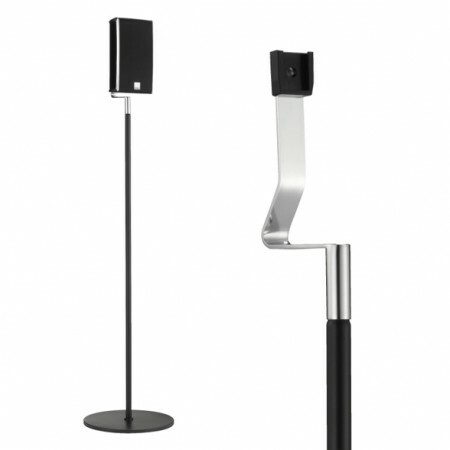 The FAZON MIKRO Floor Stand is ideal for listening rooms, where it is not possible to hang the FAZON MIKRO directly on the wall. Or when using the MIKROs as back speakers in a surround setup, where there is no wall behind the listening position. 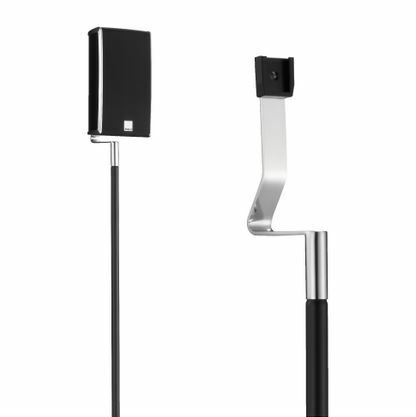 Sold as a Pair of stands. The FAZON MIKRO speakers are not included. The height of the FAZON MIKRO Floor Stand is adjusted according to a seated listening position, so that the tweeter of the speakers are in level with the listener’s ears. Ideally, the FAZON MIKRO speakers should be placed at the corners of an equilateral triangle with the (left and right stereo) speakers at a minimum of 1.5 metres (60”) apart to achieve good stereo separation. Avoid placing objects between the loudspeakers and the listening position as obstacles can have a detrimental effect on tonal balance.